Shrimp sauteed in white wine and butter topped with Puttanesca. Saute shrimp in butter and wine for about one minute, then add one cup of puttanesca sauce and simmer for another minute. Remove from heat and serve on its own or over rice or pasta with toasted french bread. 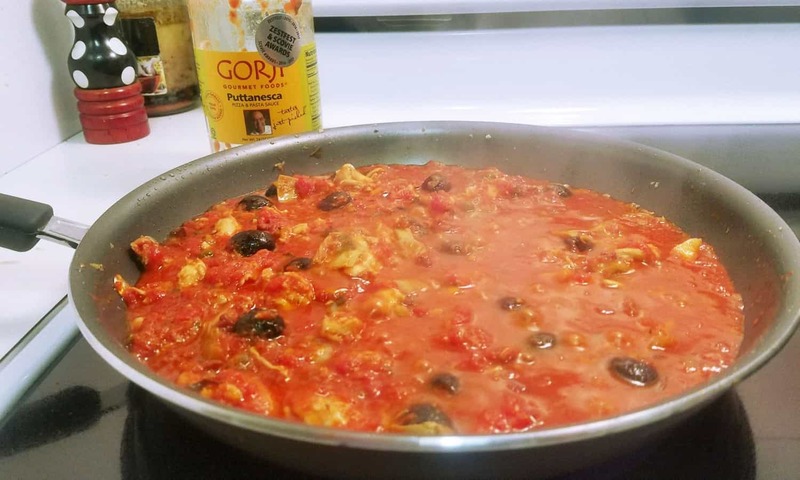 No Replies to "Gorji Gourmet Puttanesca & Shrimp"